They'd love to have you for dinner . . .
Sasha Savage is in love with Jack - a handsome, charming ... vegetarian. Which wouldn't be a problem if it weren't for the fact that Sasha's family are very much 'carnivorous'. Behind the family facade all is not as it seems. Sasha's father rules his clan with an iron fist and her mother's culinary skills are getting more adventurous by the day. When a too-curious private detective starts to dig for truths, the tight-knit family starts to unravel - as does their sinister taste in human beings . . .
With the popularity of the show Hannibal, are publishers going to release more and more stories about cannibals? I hope so. 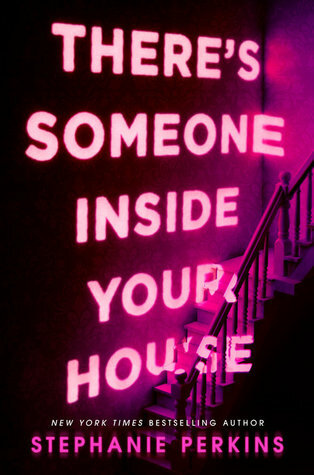 I do love a good, creepy story, even if it does make me feel physically sick. I have mixed feelings about The Savages. On the one hand, I thought it was a funny story, and was intrigued by it. On the other, I was disgusted by the family. Am I supposed to like them? Or maybe I’m meant to be conflicted. 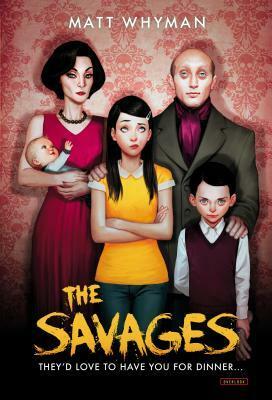 The Savages reminded me a lot of The Addam’s family , with the same patented creep factor. The two siblings, Sasha and Ivan, especially reminded me of Wednesday and Pugsley, as Ivan was always setting out to injure Sasha regardless of the consequences. Such things were normal in that household. I liked The Savages because it was a quick and easy read, although it lacked a bit of substance. I didn’t feel a connection with any of the family, probably because they’re CANNIBALS and they don’t think their diet is wrong. The Savages also provided an interesting narrative about vegetarianism, and vegan extremists. I thought it was hilarious that – in the eyes of the Savage family – vegetarianism was wrong. There were also some extremists, and they were painted as crazy and terrible people. The complete switch around was brilliant, and I really enjoyed the fact that the extremists were included because there really are people who protest against the consumption of meat. I had a lot of fun waiting to see what the Savage family would do next. I had no idea where the story was going, and when the ending happened I thought it was brilliant. I hadn’t been expecting it to go that way at all. I’m looking forward to reading the next book, although I won’t be rushing out to buy it. I want to see the Savages as they try to tackle America! I love the cover of the book and the idea behind it sounds really great! I quite like the cover for this one. Some elements look like a perfectly normal family, and others… well there’s something not quite right. They certainly look a little like the Addams family (or at least Wednesday and Morticia) like you said! I’m not a horror fan and I’m not sure if I could handle the cannibalism in this one but it just sounds so quirky and fun. Too bad the family wasn’t developed better but I would love to give this one a try, because it sounds pretty cool. Horror though.